Fortunately the Cold War never boiled over into armed combat between the USA and USSR. If it had, at the forefront would have been naval vessels fighting to dominate the oceans. Such a conflict would have included surface combatants playing cat and mouse with enemy submarines. The newest Orange Box set offers such likely adversaries – a Soviet Delta III nuclear-missile submarine and a US Navy destroyer. The 13,500-ton Delta class SSBN formed the backbone of the Soviet submarine fleet after its introduction in 1973. The Delta III (Project 667BDR) carried 16 R-29-family Vysota nuclear ballistic missiles, and 14 such Kalmar-class SSBNs were built. USS Ingersoll (DD 990), a Spruance-class vessel, was one of those destroyers that would have been tasked with countering Soviet submarines. This particular 8,040-ton ship was commissioned in 1980, and after a relatively short service life it was decommissioned in 1998. Typical of other kits in this series, what we have is a reboxing of two somewhat older kits. The Ingersoll was originally released as the Ticonderoga as that nameplate is still in the plastic and one has to remove the nameplate mounting area on the base. Each of the items on the weather decks builds up as several bulkheads put together and this includes the funnel sections. Each of the six funnels is a separate item. The kit comes with a Seahawk helo and one can build the hangar bay doors open or closed. 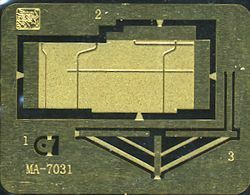 The set comes with a photo etch fret for the Ingersoll, but it basically replaces a couple of plastic bits on the masts, so those who do not like p.e. will not have to use them. The ship can also be built as a waterline or full hull so that is a nice option. Apparently most of the red/white curved decals are for the Ingersoll and will fit around the fore and aft guns as well as the missile tubes. These latter items would benefit from being drilled out. . Several bits need to be either removed or filled in and the instructions show just what needs to be done. 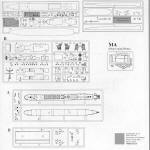 The Delta III is simplicitiy personified and probably has fewer than 25 parts. The only option is to have one of the missile tube hatches open and a missile placed in there. The hull is split horizontally and while it would have been neat to have that split along the waterline, such is not the case so you'll probably need filler to smooth the join. Still, in 1/700 it is a pretty good size sub. Instructions are well done and show all the painting info needed with Gunze references. 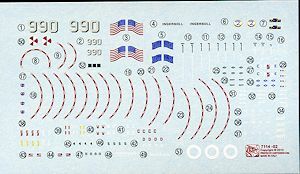 Painting chart for the Ingersoll is in full color and decal placement is clearly shown. The sheet is well printed and should provide no issues. If you missed these when they were originally issued, you now have an opportunity to correct that. Both look to be very nice and should make into super little models. 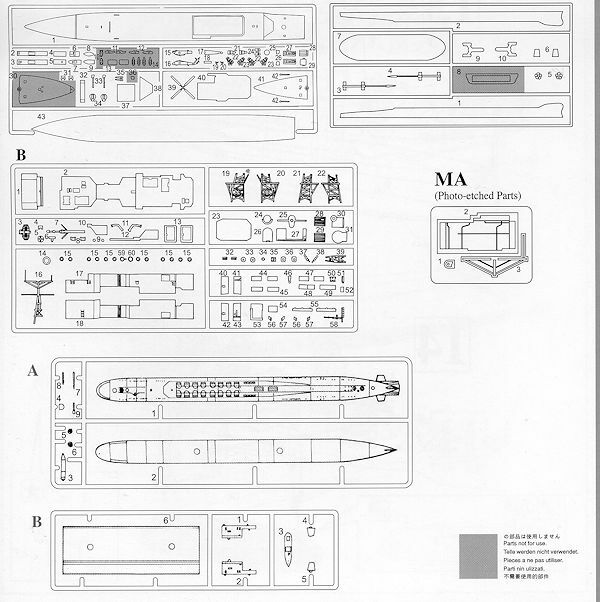 1/700 is the perfect scale for those who like ships, but do not have the space for the larger kits. Besides, I think that, like 1/72 in aircraft, there are more 1/700 kits around than any other ship scale. Thanks to www.dragonmodelsusa.com for the preview kit. Your local retailer is the place to go for this one.